There are currently THREE opportunities to participate in OFG work days this week! Wednesday (9/27) and Thursday (9/28) at Trinidad School, and Saturday (9/30) at a residential home. Spaces are limited so please RSVP to reserve your spot! adjacent downspouts around an existing storm drain in a grassy courtyard between several classroom wings. We are looking for 5 volunteers per day. Send us a message or Email us at humboldt@surfrider.org to reserve your spot! Our OFG coordinator, Josh Koepke is hosting an OFG work day/demonstration! 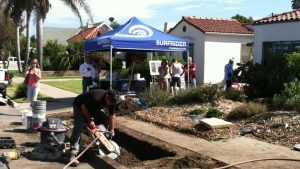 This garden will be dedicated to the late Paul Herzog who helped pioneer the Ocean Friendly gardens program at surfrider and recently past away. He was a passionate advocate for building healthy soil and growing these amazing gardens to benefit us all! 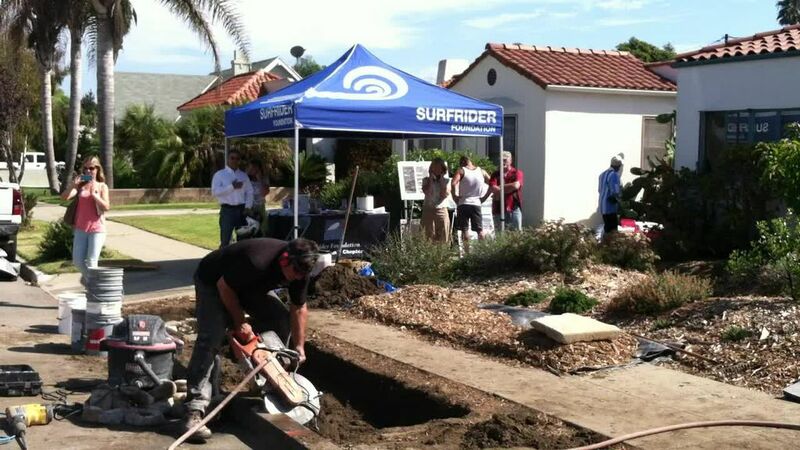 Please contact Josh at josh.s.koepke@gmail.com if you have any questions or would like to sign up for the hands on demonstration on how to incorporate stormwater into your landscape.